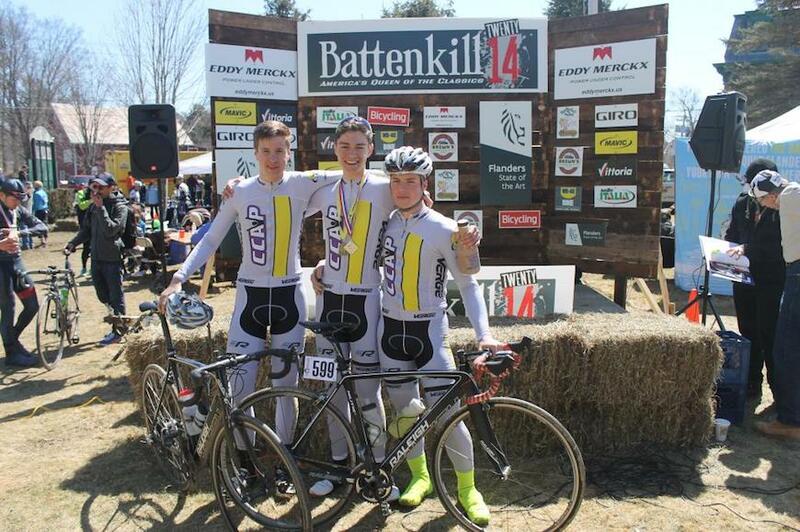 Raleigh's Connecticut Cycling Advancement Program (CCAP) team was taking part in the Tour of Battenkill. Set in the famous Battenkill Valley, racers test their mettle over both dirt and paved roads while screaming through covered bridges, family farms and rural villages throughout Southern Washington County. The Junior 17/18 race kicked off with a cold morning in Cambridge, New York. The 65 mile race of epic dirt roads and brutal climbs started off rather slow. CCAP Junior Travel Team rider Derek Cote was not interested in taking it easy and jumped off the front with two others just three miles into the race. As the trio hammered away, they were given constant encouragement as their gap grew and grew. Cote’s teammates Ian Whaley, Brian Suto and Nick Sabatelli did an excellent job of controlling the chasers in the main field. The breakaway worked flawlessly all the way to the finish line. As the final turn approached marking 400 meters to go, Cote found himself in the most inopportune position; first wheel! A Hincapie Development Team rider launched the sprint and opened up a gap of two bike lengths on Cote and his other breakaway companion. Cote responded with a mighty display of power and rocketed himself past the Hincapie rider and across the line in first place for what was a well-deserved-and-executed win for the CCAP Juniors Travel Team on their Raleigh Militis 3’s! The Tsali Recreation Area in Bryson City, NC is the site of one of the most famous moutain bike races in the country, the Knobschorcher. From rhododendron tunnels to creek crossings on some of the nation's best singletrack, the Knobscorcher is a race full of fast turns, sprints and road-race speeds. The weekend kicked off with an individual time trial. Robert Marion took the win on his Raleigh, followed teammate by Lewis Gaffney in the Pro Men's race. Sarah Hill finished 2nd in the Pro Women's time trial. On Sunday in the cross-country race, Robert was out-sprinted, taking 2nd in Pro Men's category with Lewis taking 8th in the largest Pro Men field to date. 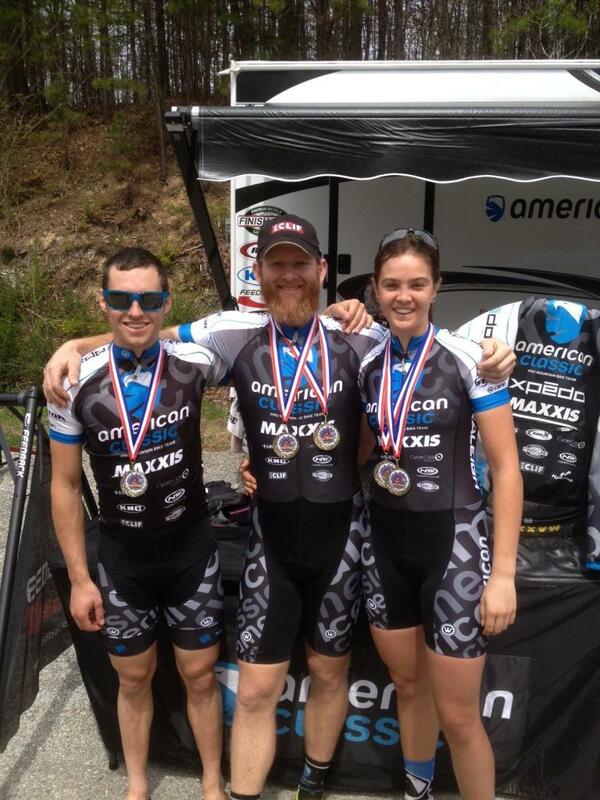 Sarah earned another podium placing 3rd in the Women's Pro category on Sunday. Robert and Sarah now lead the points for the South Eastern Regional Championship Series in the Pro Men and Pro Women's categories!